One list will give us the medical history. In no particular order of priority, it includes one-word problems such as osteoarthritis or hypertension that have nothing to do with the patient’s current admission for acute pancreatitis. The relevant history of alcohol abuse may be found elsewhere, in the list under “social history”. Our “social history” includes a field that will tell you whether or not the patient chews tobacco, which is so seldom helpful in southern California. The complaint of abdominal pain won’t be found anywhere near the list of laboratory values with the important amylase and lipase levels. If you’re a consultant trying to make sense of the patient’s case, you can find yourself frustrated and stymied at the difficulty of getting the big picture. If you’re lucky, you can find a human who knows something about the patient, and get him or her to tell you the story. You can bet that this won’t be the resident, who has just come on the service, didn’t admit the patient, won’t be following the patient, and will have to lie down for a nap soon. But with perseverance you may find an attending physician who has no duty hour restrictions and actually knows what’s going on with the patient. If finding a human fails, your second hope is to find a narrative note by a physician who is in the old-school habit of dictating an organized history and physical. This is the pot of gold in the EMR, but you may have to sift through pages of notes on the computer before you find one. Sometimes, just for fun, I print it out so I can refer back to it without logging on to anything. The use of all the “smart fields” in the EMR looks appealing at first, until you figure out that it is fraught with peril. Not long ago, I was reviewing the computerized record of an aged patient with a hip fracture before I went in to examine him. The orthopedic surgeon’s note (not surprisingly) contained the standard “smart field” notation that the patient’s heart sounds were normal. So did the emergency room note. The renal consultant, however, took the trouble to type in a free text notation of a harsh systolic murmur. This led me to click through more drop-down lists and screens until I turned up an echo report that documented critical aortic stenosis. Nowhere in the patient’s medical history or “problem list” was aortic stenosis even mentioned. And no one had linked the family’s account of the patient’s dizziness and recurrent falls to his heart sounds. The classic symptom of late-stage aortic stenosis after all is syncope, or fainting spells, which in all likelihood caused his hip fracture. We had a lot of disconnected data, but no real story. In my own customized templates for writing notes, I’ve deleted most of the “smart fields”. If they aren’t there, I can’t click “normal” just because I’m in a hurry. Whatever I type in is what I actually saw or heard or palpated. If I ever have to refer back to that record, I’ll know that it contains no default entries. There could be future medicolegal risk for all of us because it’s so easy to enter “normal”. In the past, if part of a physical exam hadn’t been performed (such as a neck exam by the colorectal surgeon), we would leave that field blank or write “deferred”. Years from now, how will we be sure which findings were really and truly normal in all these computerized notes? Still another hazard of the “smart fields” is that they propagate themselves endlessly, like tribbles. The same “past medical history” will appear as an identical list in note after note, because it’s so easy to type “.pmh” instead of summarizing the patient’s problems as a narrative. If an error of any kind is made, it will continue until someone notices and takes the trouble to delete it. If “Lasix” instead of “latex” is entered as an allergy, it may be listed that way indefinitely. You’re much more likely to click on the wrong line of a list than you are to write down the wrong information in a handwritten note. With the billions of dollars that are being spent on EMRs, and the Obama administration’s keen interest in their implementation, no one wants to hear about the problems they cause. But the truth is that it’s much harder for physicians and everyone else in the hospital to learn and remember what they need to know about their patients from reading electronic records. Human beings don’t learn best by memorizing disconnected lists. 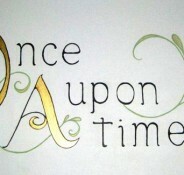 From fairy tales to patients’ histories, we’re hard-wired to remember stories. Author’s note: Thanks to Robert Dickman, executive coach and author of The Elements of Persuasion, whose focus on narrative strategies in communication helped me articulate what bothers me most about the EMR. I have been reading some of your posts and enjoying hearing your perspectives on the state on medicine. I am a first-year (almost second year!) medical student interested in anesthesiology. I’m also the mom of two preschoolers. I was wondering if you’d consider writing a post (or maybe replying with thoughts) on being a mom during medical school and how you made it work with having a family and meeting the academic challenges. I’ve had a pretty good year but am quite exhausted! I definitely feel intense pressure to make every second count. Thanks in advance for any feedback you may have for me. Thank you so much for writing. There’s no easy answer. I was lucky that I had only one very healthy child and a good Montessori school. Her dad was supportive, and somehow it all worked out. You can’t turn out to be a good physician if you shortchange your education in any way; somehow you have to fit it all in. Looking back, I’m amazed at the energy I had back then! I would get home, have dinner, give my daughter a bath, read her bedtime stories, and tuck her in bed. Then I’d nap for a couple of hours, then get up and study roughly from midnight to 3 a.m. Then I’d sleep for a couple more hours, get up and do it all over again. Luckily, I’m a person who really never sleeps 8 hours a night, so it worked out fine for me. To this day, I love an evening nap and get a lot of productive work done in the late night hours where everything and everyone (except maybe the cats) are quiet. Not saying this is a solution for everyone; just that it worked for me. My other children were born after I was in practice. I am not a big supporter of part-time work–you’ll get a lot more fun out of practicing medicine if you strive for excellence, and this is seldom compatible with part-time practice especially in the specialties with a lot of technical procedures. The better you get, the more interesting cases will be referred to you, and the more fun your job will be. Good luck! When using the EMR to make rounds, I carry it into the room with me on an iPad (product placement, sorry! ), and when the patient has a question, I attempt to answer it from the medical record. I wade through voluminous notes, each of which contain masses of exactly the same data automatically pulled from the Data Repository, and try to find the few words that may have been written by the “Author.” The intention in displaying all this automatic verbiage of data (not information) seems to be CYA (“It’s in my note, so I can’t be accused of not having seen it!”) rather than collaboration with colleagues. My response to the patient’s question frequently is something like “I can tell you your lab results, but not what your other doctors are thinking about the subject of your question.” The exception is when I have actually talked with a colleague about this patient. I’m not against legible medical records that actually can be located in a reasonable period of time. If I am correct in my view that the medical record is a way for clinicians to share their observations, assessments and plans for a patient with other colleagues to encourage intelligent teamwork, then the electronic medical record still fails my criteria for “Meaningful Use.” I guess we all have some learning to do. … before I reached your site. Thanks for giving us good questions to answer! Mainly, what I mean is that all professionals involved in patient care should think of patients – and of themselves – as human. This includes medical, paramedcal, and technologists. Humanity has been facing a “technologizing” process for quite some time. This should be good, as it must result in better patient care. However, HiTech (machines and procedures) and / or Last Generation (medication and computers) shouldn’t be put between medical professionals and the “old ways” (like hearing, physical examination, Hypothesis making, problem solving, and even “history telling”). It is our decision to make the best use of (any) technology, or else live it unused. — This is Victor Araujo, MD, IFCAP, Clinical Pathologist / Hemotherapist / Infection Control Professional, working as Salvador city / BA / Brazil. Read with interest this post via Dr. Pho’s blog. What strikes me about EMRs is that it is so completely separate from the world that I inhabit, i.e. clinical research. My own field has been wrestling with EDC or Electronic Data Capture for the past 15 years or so, and I still don’t think they’ve got it right. What is most striking is the difference between clinical data and clinical research data; the former is usually unstructured, the latter is very rigigly structured, and there is usually an army of clinical research associates, i.e. Monitors, who make sure each and every discrepancy is accounted for or corrected during the conduct of the trial. The result is a relatively clear picture of what happened during the trial, the objective being that one could recreate, as it were, the trial based on the case report forms. Why can’t clinical data even approach some sort of commonly acceptable, standarsized, structure, and I don’t mean EMR)? It seems to me the “story” is important and memorable, however, the case for having immediately accessible data for some patient who’s come in off the street is powerful. I am amazed at the number of pages I have to flip through with the EMR from the Emergency room. There is copious documentation; and the physician part is actually done by a scribe, The exam, or pre-exam may be done by the PA. On the last note , it took 10 pages to get through useless medico-legal babble. One more maybe two pages at the end are useful. I was going over one with an ER doc to try to figure out what happened, and got clued into the most important pages- the second-to last two. Patients are also sent home with ridiculous non-information. A very sick patient is sent home two or three times a year with 35 pages of discharge information, that she will never read. Instead of quick useful bullets, it’s 2-3 pages per drug. The cut and paste that we see can be actively dangerous-old problems re-appear. The exam may or may not have been copied- which leads to more studies. My colleague reports a 18 yr patient who presented to the ER for a UTI because she didn’t yet have a doctor, and her insurance hadn’t taken effect. She didn’t know enough to go to Urgent Care, and once in the machine , got a pelvic( appropriate), some lab work, ( appropriate)a pelvic ultrasound, useful only if labwork and physical indicated and a CT, for a final bill of $10,000.The patient said she was barely touched except the pelvic. One can only assume that once in the machine, no one could pull back and use common sense- it was hidden in the overdocumentation.